Please keep in mind that direct currency conversions don’t really work in this case due to a lot higher cost of doing business in Europe than in the United States causing consumer electronics and other products to cost a premium in Europe. The quoted European prices could be marked up or down, depending on factors like value-added sales tax, carrier promotion and so forth. As an example, a contract-free 32GB iPhone 7 is priced at $649 in the United States. Over in France, however, the same phone costs €769, which works out to about $830. When it releases later this year, the iterative iPhone 7s refresh could be priced the same, with the iPhone 7 series becoming a $100 or so cheaper. 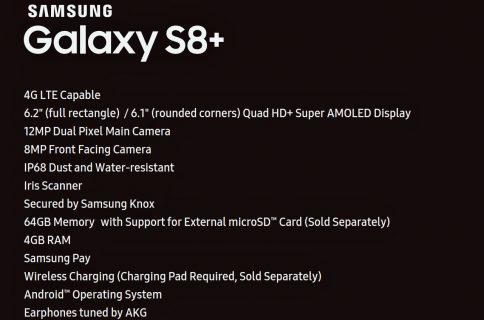 As opposed to the Galaxy S8 model with a 5.8-inch AMOLED display, the new Galaxy S8 Plus edition show come outfitted with a massive screen measuring 6.2 inches and featuring Quad HD+ resolution of 3,200-by-1,800 pixels. 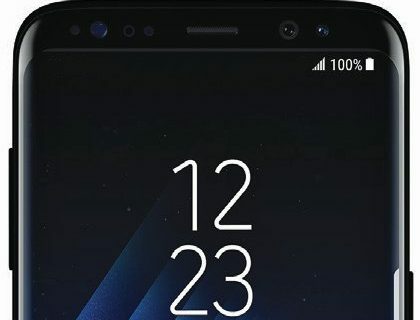 Other rumored features could include an in-screen fingerprint reader, a reworked Home button embedded into the display assembly, iris scanning, wireless charging, a 64-gigabyte baseline and more. The upcoming Galaxy phones will run Samsung’s new virtual assistant, called Bixby, which will focus on completeness, context awareness and cognitive tolerance, the South Korean conglomerate announced this morning. 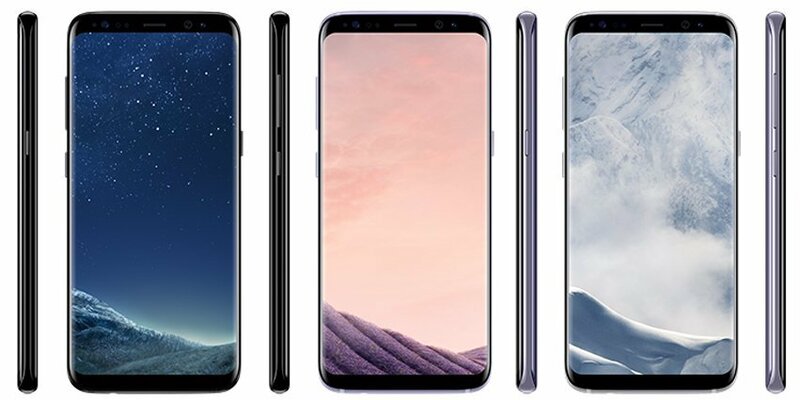 The new Galaxy phones will be offered in several color options, including Black Sky, Orchid Grey and Arctic Silver, as seen from left to right on the leaked press renderings top of post. 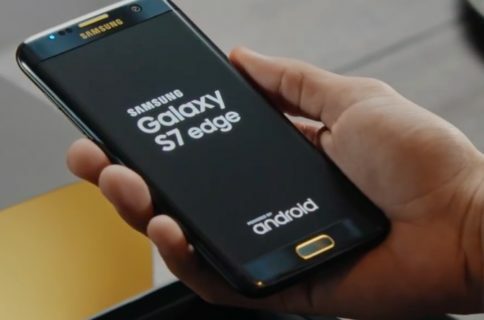 SamMobile recently pointed us to a Chinese-language Naver report claiming that Samsung’s engineers built more DRAM directly into the camera sensor to give the next Galaxy the ability to capture slow-motion video at an astounding thousand frames per second. The rear-facing iSight camera found on the iPhone 7 series is capable of capturing Slo-Mo video at either 120 frames per second in full HD (1080p) video resolution or twice the FPS at 720p. As per SamMobile’s sources, the next Galaxy won’t use Sony’s new 19-megapixel IMX400 CMOS sensor. The phone’s front-facing selfie camera will have eight megapixels and come with autofocus (iPhone 7 has a seven-megapixel FaceTime HD camera out the front). An additional 3.7-megapixel RGB camera sensor for iris scanning could be part of the Galaxy update as well. Samsung will release new Galaxy phones along with new tablets and other products at its Unpacked media event, scheduled to take place on Wednesday, March 29 and with first shipments scheduled to commence on April 21. The event will be live-streamed via samsung.com/galaxy.